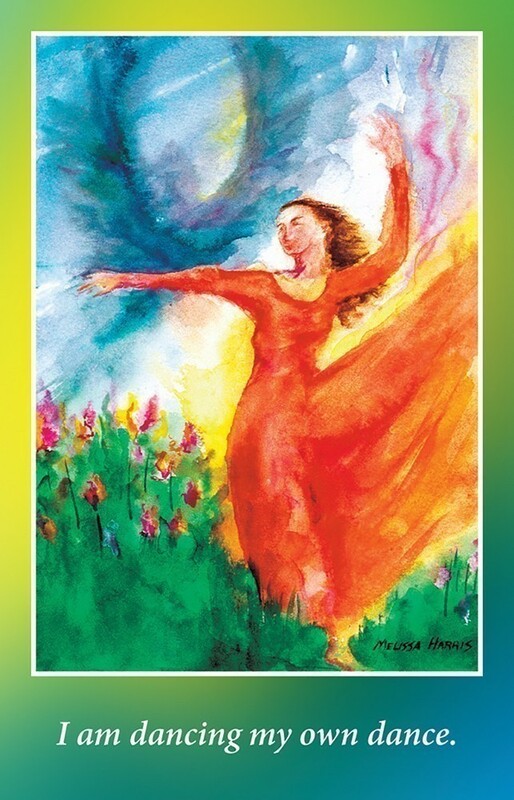 Each card presents a painting of a woman on the go, along with an upbeat, accessible message. Designed especially for the fast-paced life of today's modern goddesses, the 33 cards can be carried anywhere, to bring cheer and inspiration everywhere. Includes 70-page booklet. 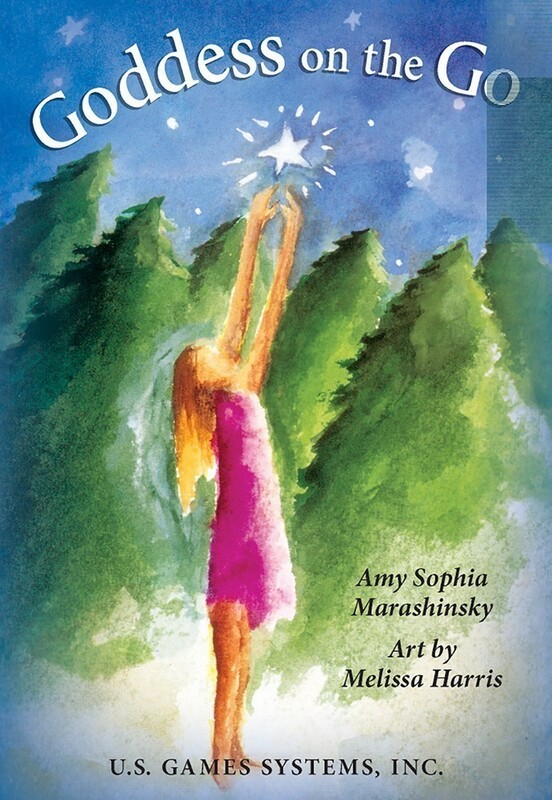 Goddess on the Go is the third oracle pack from Amy Sophia Marashinsky, creator of the Goddess Oracle and the more recent Oracle of the Grail Code: Restoration of the Feminine. 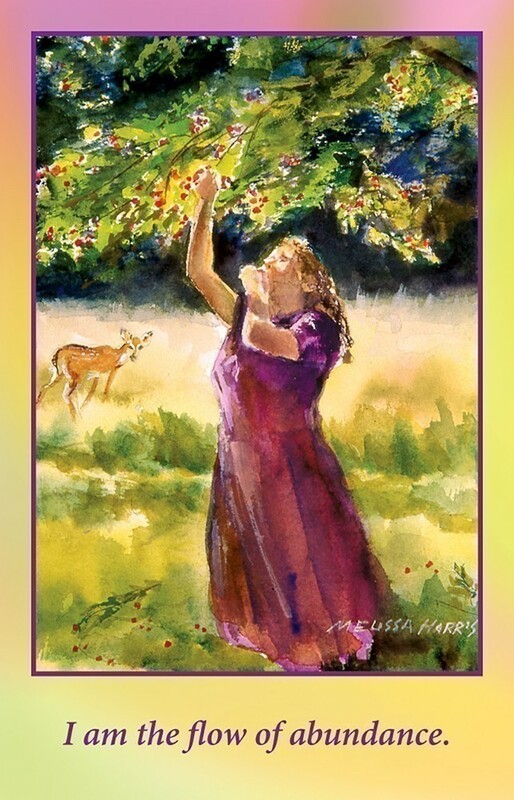 For this deck, she has worked with artist Melissa Harris to create an accessible, positive and nurturing affirmation deck that is "a dose of spiritual first aid" -- successfully, I should add. Amy's affirmations are designed to be concentrated energy phrases, simple but elegant, and capable of "dissolving core negative thoughts and replacing them with a healing beam of transformational light and love". After choosing Melissa as the artist, Amy went through Melissa's huge collection of paintings to find the right images to match them. 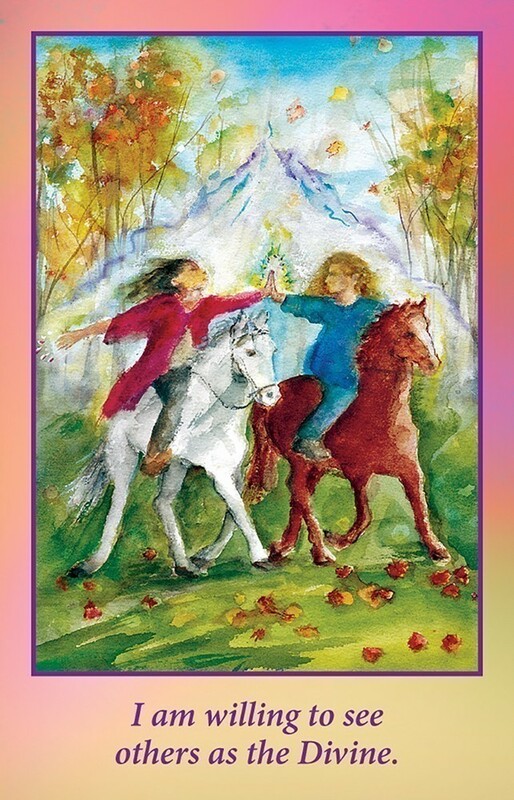 She paid close attention to the energies of the words and what they created with their vibrations, and knew the text and its accompanying image were right when she "held the card while reading the affirmation and felt it entering my being like a burst of light, leaving a fallout of happiness and peace". Melissa's images have swirling, saturated colours blurring into almost watery edges. They're more expressionistic than realistic; the figures inspired by the women in her life but mostly from her imagination, and have a strong feeling of motion and dance. 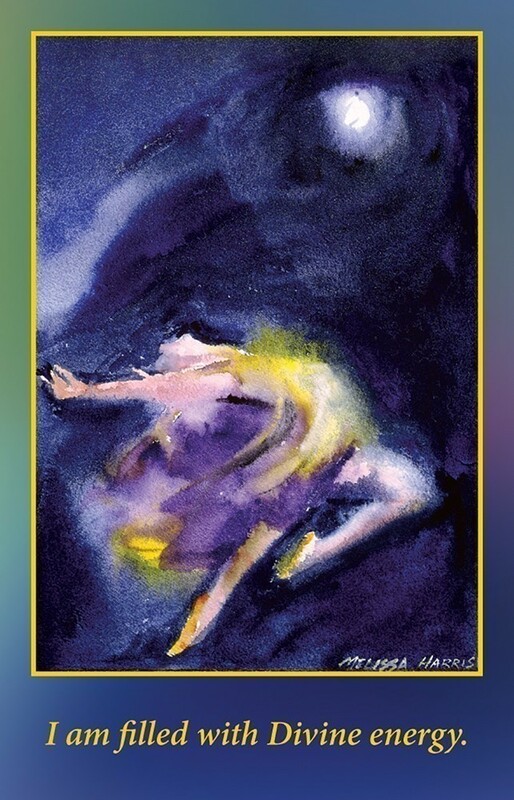 My favourite card has the affirmation, 'I am filled with Divine Energy', painted with a woman dressed in yellow and purple, her head thrown back in a wild and joyous dance. Physically, the cards are small -- roughly playing card size -- and compact enough to fit in a handbag or purse. 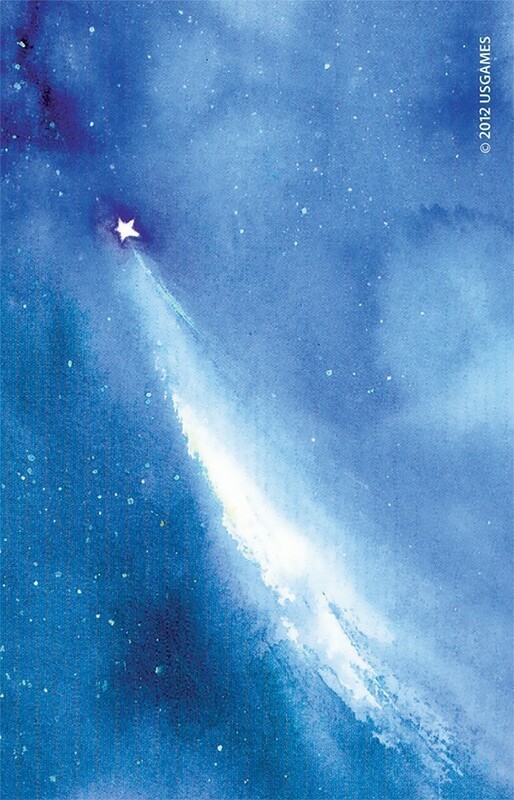 A few of the cards are landscape oriented instead of portrait (of which I'm not a great fan) but as the cards generally used individually rather than in readings, it isn't a major problem. They're packaged in a small but sturdy cardboard box (the top lifts off -- it's not a flip-top box), with a 70-page little white booklet. Affirmantra (using the affirmation like a mantra in meditation). 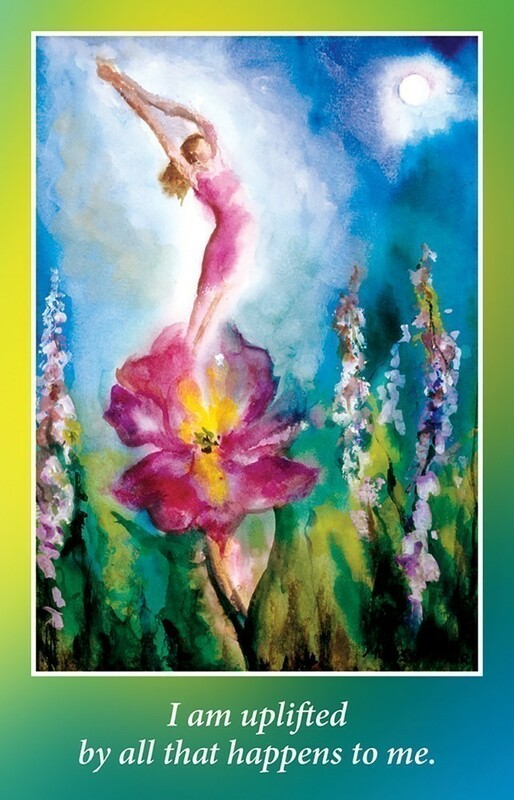 There are fairly similar decks on the market with a goddess, female-centric or affirmations theme, but I liked the Goddess on the Go pack because of its simplicity and the way its art and advice can instantly bring about a mental or emotional change. 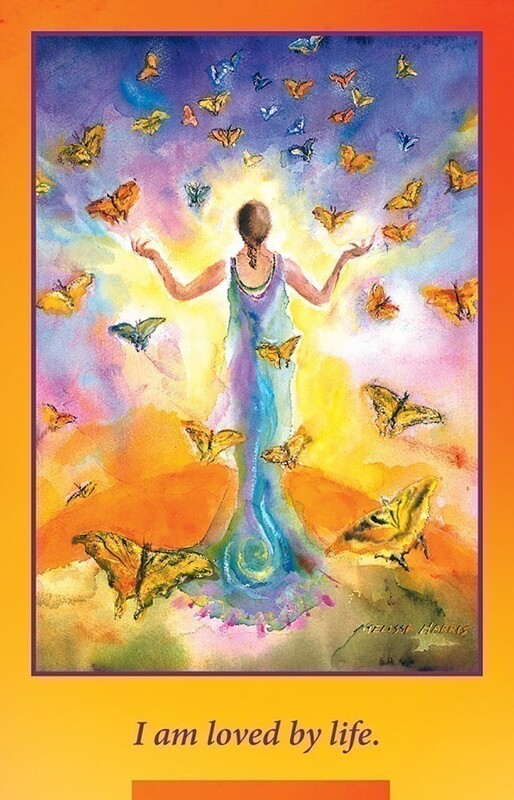 These are uplifting, positive cards, perfect as the pick-me-up in hard times or as a gentle daily reminder. I really enjoyed working with this deck, and it's one I'll be continuing to use.